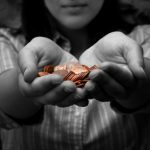 How does the Bible inform our views on giving? Looking at these verses as a starting point, we can begin to see that a Godly view of giving is first and foremost a heart issue. 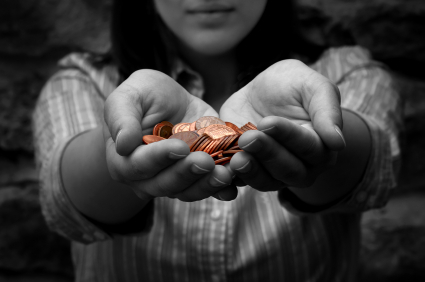 When talking about Biblical giving the question of “how much should I give?” always comes up. I’ve heard many people say “10%” and there are certainly examples of people in the Bible giving 10%, but Jesus makes it clear that if we just count out 10% and give it, we are missing out on the most important aspects of giving. How does the idea of Simple Church challenge our cultural views of giving? In these sentences I realized that I referred to “church” as a place, a service, or the people that are paid to do ministry. The concept of simple church, where we are the church, has helped me to clarify these ideas. In the same way, I am now being challenged again in my ideas of giving. Where should our gifts go? In my old view of church I guess I just figured that my gifts should go to a place, a service, and people that are paid to do ministry. Paying a church’s mortgage and helping keep the facilities running isn’t cheap. Great worship services like the ones I enjoy take a lot of hard work from paid staff and volunteers throughout the week to make that happen. And there are certainly enough needs to keep any full time minister swamped. But what if we have really changed our views of church. Can we be the church without a huge building? Can we experience fellowship, worship, and teaching over a dinner table? Can every one of us be the ones that do the ministry? I think so. When I look at how gifts were used in the early church, two themes emerge very clearly. Support church planters (1 Corin. 9) and gifts to the poor (2 Corin.9…and almost everywhere else in the Bible). How will gifts to Simple Church Alliance be used? Right now, Gavin and Karla are working full time in planting churches and building these churches up in Christ so that more churches may be planted. Gavin’s time and energy is devoted to this as his primary mission. As our giving grows, we hope to be able to offer grants to individual house churches that take on community projects that are beyond their own financial needs as a group. A portion of the gifts to Simple Church Alliance will be given to The Great Commission Fund, which is the fund set up by the Christian and Missionary Alliance for the spread of the gospel throughout the world. As for giving to the poor and other ministries, we want each person, family, and house church to give generously to those ministries that God has set in their hearts. We want to keep giving simple so that God can empower each of us to BE THE CHURCH. -Gavin and Karla do not see any individual giving amounts. -These funds are currently administered by the board of First Alliance Church, until Simple Church Alliance is officially launched as an independent non-profit.